Puzzles are not only fun to put together but they are a brain boosting tool for your kids (and you!). 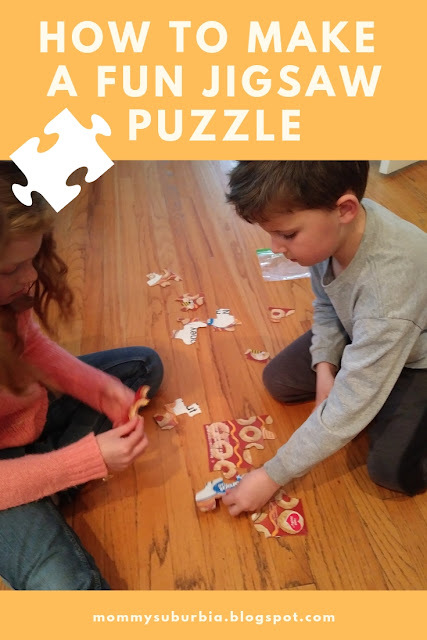 Critical thinking, shape identification and fine motor skills are just some of the mental and physical exercises puzzles make you do as you put one together. This post contains affiliate links which means if you click on a link and make a purchase I may receive a small commission at no additional cost to you. For more info please see my Disclaimer page Thanks! Making your own puzzle is easier than you think and you don't even need any fancy or expensive supplies. I bet you have everything you need right in your kitchen! Kitchen? Yep, I said kitchen. Why? Because we are going to make a puzzle using empty cereal boxes! 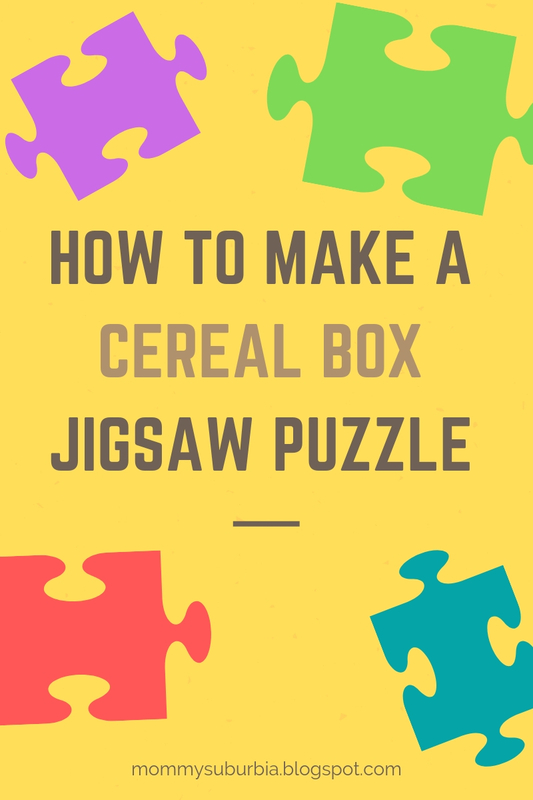 Open your cupboard, grab that box of corn flakes no one seems to want to eat, pull out the plastic bag with the one bowl of cereal left in the bottom and let's get to work making a puzzle with the cardboard cereal box. The first thing you will need to do is open both ends, bottom and top of the empty cereal box. Along one of the skinny sides look for where the box is glued together. Slide your finger or the scissors down this section so that the box is now completely disassembled. Be careful not to damage the large flat front and back of the cereal box. Once you have the box broken down use scissors to cut off the tabs along the top and sides so you are left with the large rectangular front and back sections of the box. 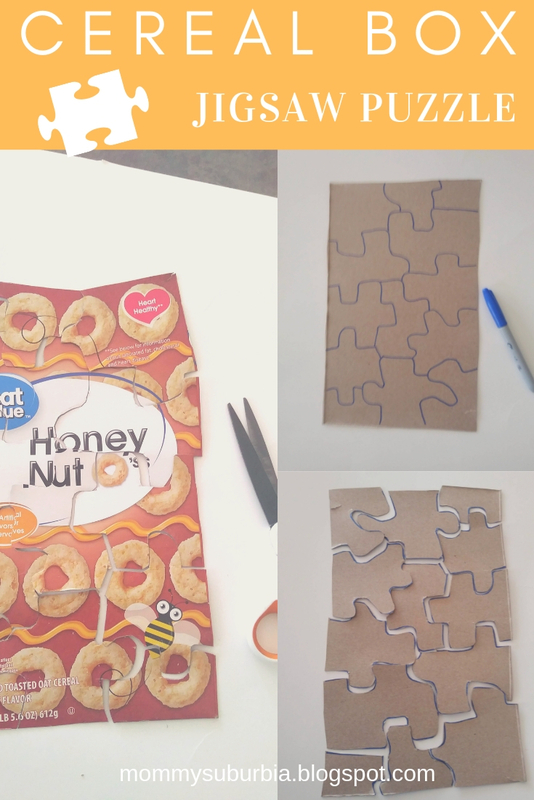 You can make two puzzles from one cereal box using both the front and back of the cereal box! Flip over the cereal box front (or back) panel so just the plain cardboard is showing. Now with your pen or pencil start at one corner and begin drawing puzzle shapes until you cover the entire back of the panel. This would be a great step for your child to do! You can make the puzzle as complicated or simple as you desire. If a youngster is going to be playing with the puzzle consider making puzzle pieces that are larger so you end up with 10-20 puzzle pieces. For older children I recommend creating a puzzle with 30+ pieces. Now that you have the puzzle pieces drawn onto the back of the cereal box panel grab your scissors and begin cutting them out. This step should obviously be done by an adult or under adult supervision if an older child is able to properly handle scissors. Go slow and take care not to snip off the puzzle connector sides - you know those funny puzzle shapes that help you match pieces together. After all the pieces are cut out flip them over and let your child try to solve the puzzle! I love the simplicity of this activity and I know from experience how much kids love these puzzles. 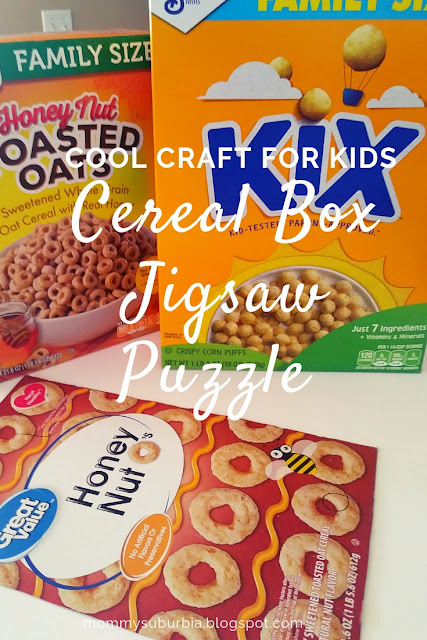 I actually have a collection of about 10 different cereal box puzzles that I have my primary Bible study students (ages 6-9) use when they are finished with their lessons. It is a fun and quiet activity that they really enjoy. Store your puzzle in a Ziplock baggie. These make great busy bag activities for younger children. Moms - pop a few in your purse or tote bag to bring to doctor appointments, restaurants or anywhere your child might need a quiet activity to keep them busy. If your family is like mine there are always plenty of cereal boxes just waiting to be emptied and used for a new puzzle. This keeps the puzzles fresh and exciting for the kids. Just when they think they mastered the Cheerios puzzle you can pull out the new Fruit Loops puzzle to challenge their minds. I love projects that allow me to upcycle everyday items that typically get tossed aside when they are used up. This project is a great way to give new purpose to an empty cereal box that is on its way to the recycle bin or trash can. Have fun making your own puzzles with your kids! Beware you might find the cardboard cereal boxes missing from your cupboard with just half full bags of cereal left behind as evidence! I hope you have as much fun with this puzzle project as my kids do. Host an awesome Easter egg hunt for your kids! 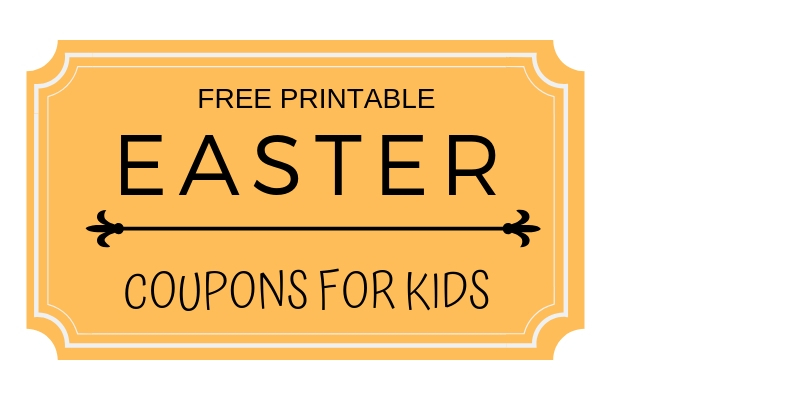 Check out the free kids Easter egg coupon printable (adult coupons too) in this blog post. Easter is just around the corner! Every year we host a big party at our house inviting several families over to celebrate with us. There are always lots of kids at this party ranging in ages from toddler to teen. No matter their ages, all of the kids still love participating in a traditional Easter egg hunt. This post contains affiliate links which means if you click on a link and make a purchase I may receive a small commission at no additional cost to you. For more information please see my Disclaimer page. I love mixing up what goes into the eggs and this year I've got a special addition to add to the eggs this year. 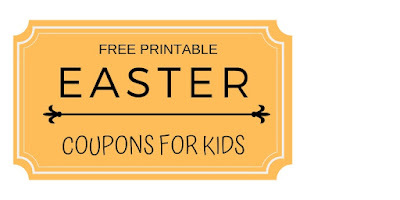 My friends at Gifts.com have provided a free Easter Egg Coupon printable that I get to share with you! 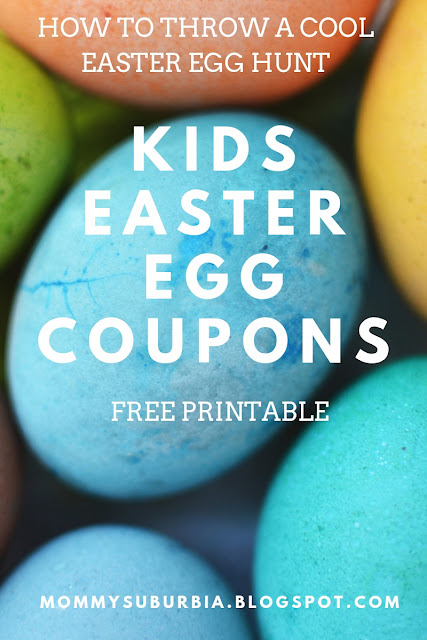 The printable coupons include both silly and meaningful activities that all ages will appreciate. What teen wouldn't want the coupon to "skip out on a chore" that they can turn in anytime and I'm sure my boys will want the coupon for "a water balloon fight". The great thing about these coupons is that there is no expiration date and you can print as many as you need! 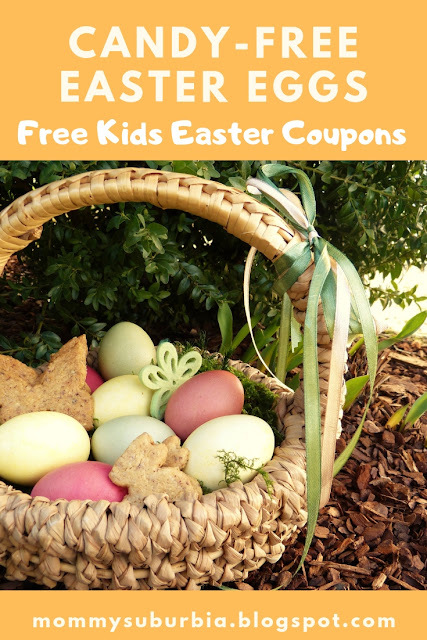 They are also a great alternative to Easter candy if you are looking for a non-candy Easter basket idea. The free Easter egg coupons also include blank templates so you can add your own ideas to personalize some of the coupons. 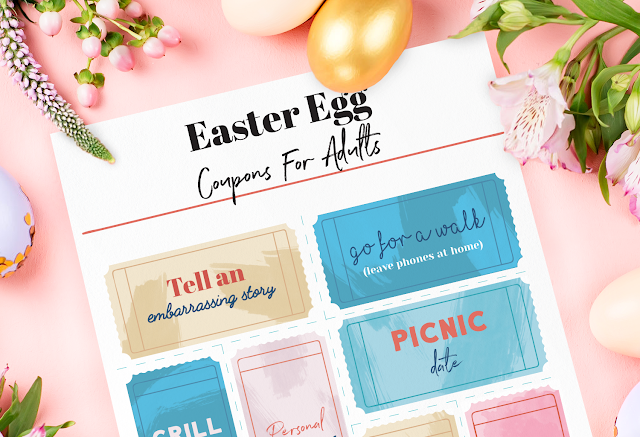 Looking for a way to get the adults involved or having an adult only Easter party? 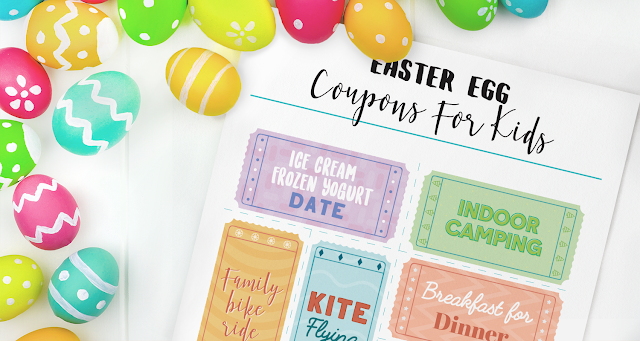 Check out the Easter egg coupons printable for adults at Gifts.com. Our Easter egg hunt also includes a "Golden Egg". Whoever finds the Golden Egg receives the top prize. In the past the top prize from the Golden Egg has consisted of things like a giant candy bar, stuffed animal, money, pool toy or a gift card. The older kids love the challenge of finding the Golden Egg! I have to hide it really well since they are good finders. Our annual Easter party is a lot of fun but what is most important is that we get to celebrate the true meaning of Easter, the resurrection of Jesus, with friends and family. Do you have any fun Easter traditions? Or a favorite Easter candy (jelly beans anyone??)? When your children are still young it is important to teach them about goals, how to set goals and the steps they can take to reach those goals. These lessons will become a valuable tool your child is sure to use throughout their lives. Starting when they are young allows your child to develop a sense of purpose in their actions and satisfaction when they attain the goal. It also teaches them how to handle failure when they fall short of reaching their goal as well as perseverance to keep trying and not giving up even if things get hard. So how do you begin teaching your children about goals and goal setting? How about using a bucket list? I know this might sound kind of "adult-ish" or morbid but it doesn't have to be that way. A bucket list can be as broad or as narrow as you, the parent chooses, while still allowing your child to "dream big" and use their imagination to come up with ideas. Each idea your child adds to their bucket list provides an opportunity for you to discuss the steps to take in order to reach their bucket list goals. How about starting with a summer vacation bucket list? All kids love summer vacation! Plus it is a short enough time period to keep them focused on attaining their bucket list goals. 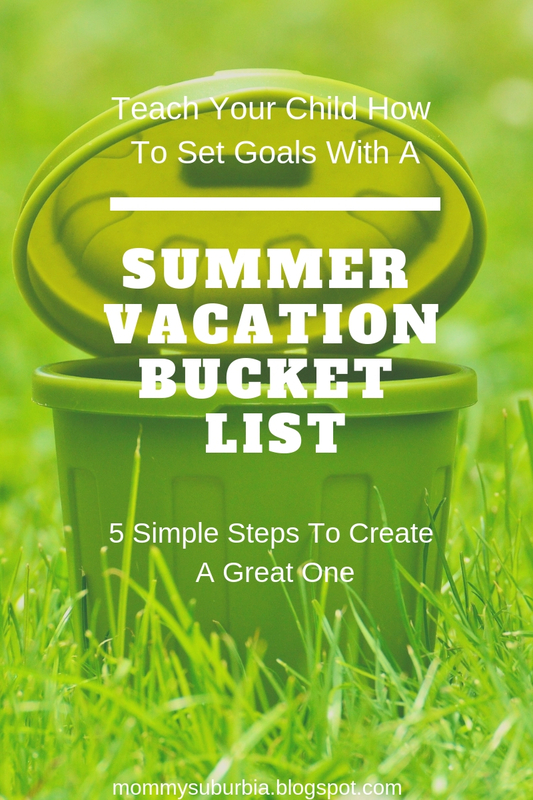 You could start the summer vacation bucket list with your elementary age children (ages 6+) as a way to introduce goal setting. This post contains affiliate links which means if you click on the link and make a purchase I may receive a small commission at no additional cost to you. For more information please read my Disclaimer page. To begin a summer vacation bucket list grab a blank sheet of paper and pencil and let the kids use their imaginations to come up with ideas. Sky's the limit at this point! I recommend narrowing down their list to 10 bucket list items and then have them rank them in order from most important to least important. 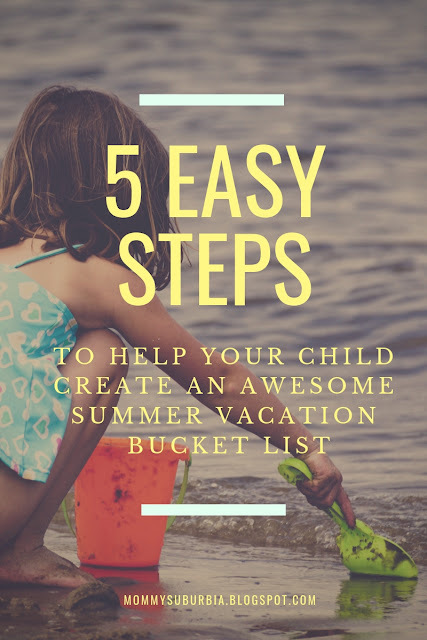 There are lots of ways to make a cool looking summer vacation bucket list like posters, a big chalkboard or use a pre-made template if you don't think you are creative enough. Let your child decorate and design their final bucket list any way they want. Check out more great bucket lists ideas at the end of this post! Now, starting with their #1 summer vacation bucket list item begin discussing plans or action steps to achieve this goal. Help your child come up with a list of action steps and then let them go to work! Every time your child gets to cross off a completed summer vacation bucket list goal - Celebrate! Maybe they get to pick a special sticker to put next to the achieved goal or after crossing off a bucket list goal they get a small treat. Get creative and have fun with this! At the end of summer vacation spend some time talking to your child about all their accomplishments as well as the goals they didn't achieve. The reality is there may be items on their bucket list that they don't end up crossing off meaning they didn't achieve one of their goals. Reassure your child that it is OK! Use this as an opportunity to teach them what to do when they fall short of their goals and how to move forward. Avoid a pity party and encourage your child. 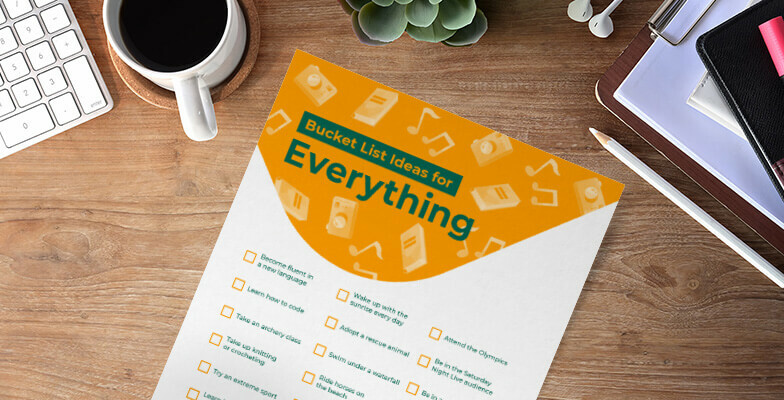 Looking for a cool & colorful bucket list template? Need a little inspiration to get you started creating your own bucket list? Check out this amazing set of printable bucket lists from the Bestow.com blog that collectively offer 150 ideas for travel destinations, wellness tips, money moves and even a blank bucket list for your little ones! Scroll through the bucket lists provided by Bestow.com to see all the great ideas below. Click to download or click on the Bestow.com link above to go directly to their website for more great bucket list tips! Decorating a bucket list can be just as much fun for your child as creating the list! I recommend fine tip markers to write out your goals. What are your top 5 Bucket List goals? Have you checked any goals off your bucket list? What ones!!? Spring is finally here! Everyone needs a little break come spring right? After a long winter we all feel a little cooped up and ready for a break from the regular routine. Changing up your regular homeschool routine can be exactly what everyone needs! 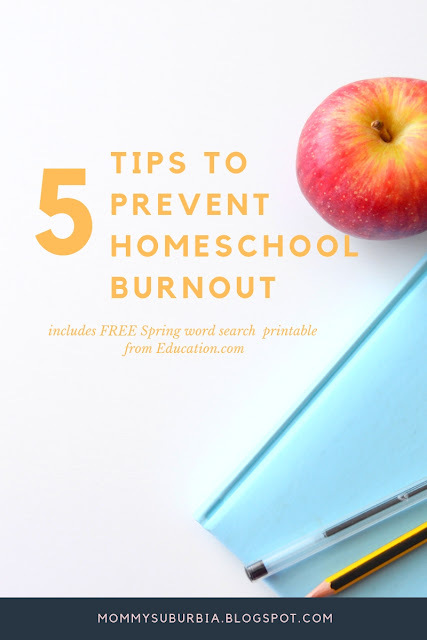 I have some great ideas to share with you on how you too can change up your daily routine to prevent homeschool burnout and give everyone a little "spring break"! This post contains affiliate links which means if you make a purchase I may receive a small commission at no additional cost to you. For more information please read my Disclaimer page. Thanks! 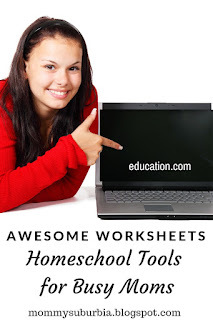 It is easy for us as a homeschool family to pack up our books and take our school on the road. Sometimes just doing school in a new location like the library, grandparent's home or a coffee shop is all we need to feel like we took a break. Even though the kids are still doing their lessons, a change of venue can be just the thing they need to shake things up. Spring is an inspiring season reminding us of new life, new colors and the end to a long winter. 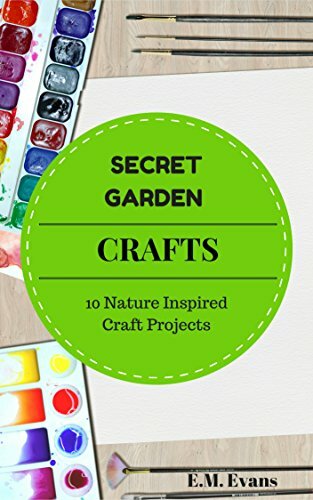 Harness this spring energy and get out your craft supplies! Let the kids take a day off from their regular lessons to have an all day arts and crafts day. Need some projects to inspire you? Check out these great ideas. 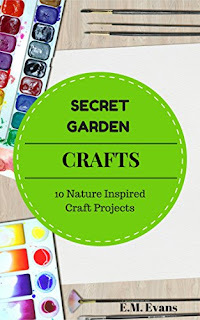 Also, check out my ebook Secret Garden Crafts: 10 Nature Inspired Craft Projects for even more craft projects. 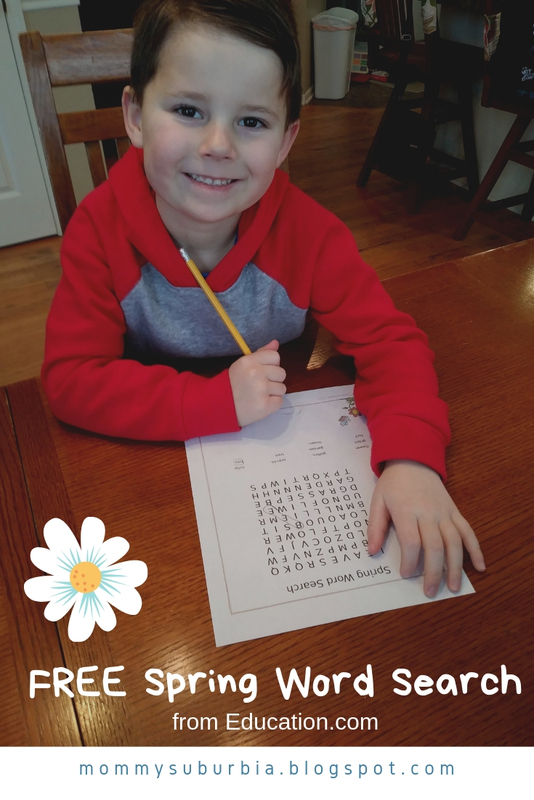 Surprise your kids by starting off your homeschool day with a word search! Educational and fun your homeschool child(ren) of any age will love finding the hidden words while you read aloud to them. Education.com* has graciously provided a FREE Spring Word Search worksheet for me to share with you! The flowers are blooming with this spring word search. Education.com is full of learning activities and games for every age group! My son, who is a beginning reader LOVES word searches. Word searches are a great tool to help a new or beginning readers learn how to sound out words. As he is circling letters he is sounding out the words. Click HERE for link to word search. Click HERE for word search answer key. If your kids love this word search make sure to check out this post that offers a FREE super cool math worksheet my son just loved! Kids of all ages love going on field trips! Get creative and find some interesting places to visit. Maybe a local coffee shop would be willing to show you how to make fancy coffee drinks or how about a local radio station tour. Exposing your kids to "real world" places beyond a museum can inspire them in the long run to think about what they want to do when they grow up. Think of this as future career field trips. Taking a day or two to let your children plan out a garden whether it is a raised bed garden, potted container garden or a large plot of space is a great way to take a break from your regular school schedule. 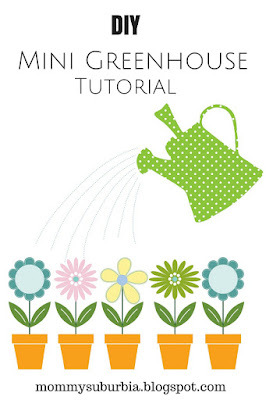 There are so many educational activities that can be incorporated into planning a garden. Learning about seeds and how things grow is science. Measuring spacing and learning how long it takes for a seed to grow is all about math. Writing out the plan for a family garden can be a great writing exercise too. I hope these tips help give you some inspiring ideas to keep your homeschool days fresh and new this spring! Don't forget to PIN this post and share with others who might benefit from these ideas. Do you have any more tips to help keep your routine fresh and new to prevent burnout or keep spring fever at bay? Share your great ideas by leaving a comment. * Education.com provided the Spring Word Search to me for free to share with you at no additional cost to you. I did not receive any compensation for this post from Education.com. The opinions are mine and are an honest review of the worksheet provided by Education.com. I only recommend products we love and use. Looking for a great way to show someone special that you care about them? Maybe it is your college student who is living miles away at school or a military deployed spouse or child or how about your teen who is away at summer camp? A care package is a wonderful way to send your love, thoughts and a favorite goody to your loved one. Everyone loves getting a special package in the mail full of yummy treats, special notes and pictures to lift their spirits. My cousin's daughter spends two weeks every summer at a summer camp that is located a few states away from her home. She enjoys the summer camp but like most kids she does get a little homesick. Each summer her mom packs up a box full of special treats, notes and a handmade card from her little brother and sends it to her at camp so she knows how much her family misses her and loves her. Not only does she feel their love from miles away but she can cherish the memory of these special care packages long after she grows too old for summer camp. If you don't have time to get creative with your care package don't worry, Gifts.com has got you covered! 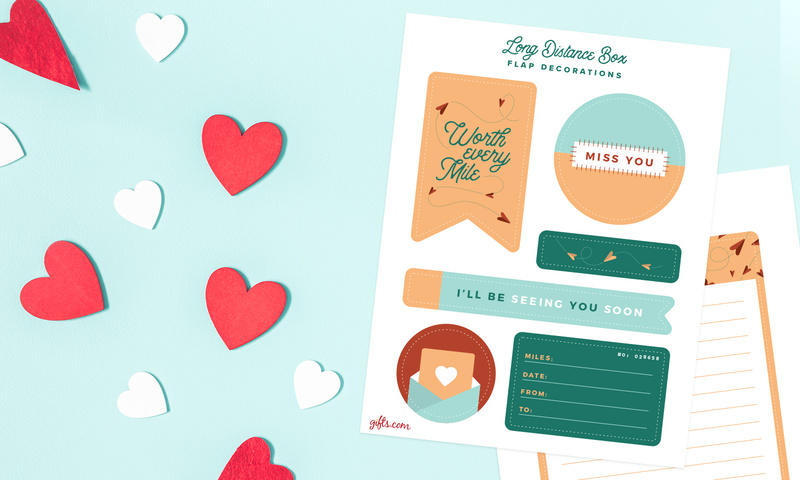 Gifts.com has created these unique and FREE Care Package Printables so you can dress up your package package. Box flap decorations you can cut to size, cute tags you can decorate and matching stationery are some of the printables you will just fall in love with! This post contains affiliate links which means if you make a purchase I may receive a small commission at no additional cost to you. For more information please see my Disclaimer page. Thanks! For some ideas of what to put in your care package, check out the themes below. 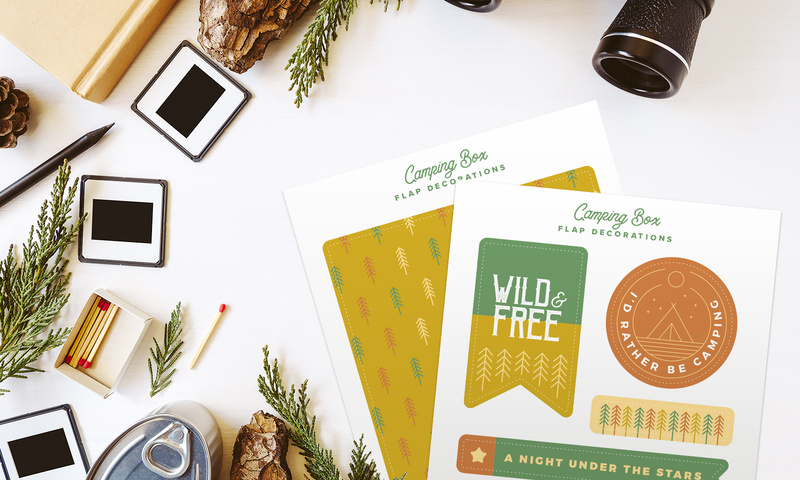 Decorate your care package with these printable camping-themed decorations to spruce up your box and attach to food items. 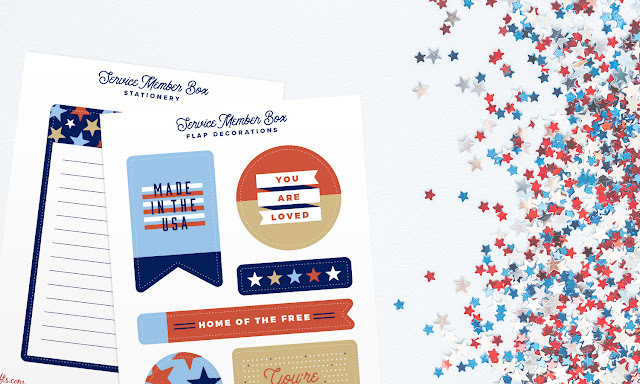 Your college kid, camper, young couple or deployed loved one will appreciate all the detailed work you put into sending them something so special. Have fun making your care package and decorate as much as you'd like! Your camper will be thrilled when they receive a package full of snacks and games at camp. When you pick them up, be prepared for all of the silly camp stories they'll have and enjoy listening to the fun memories they made. 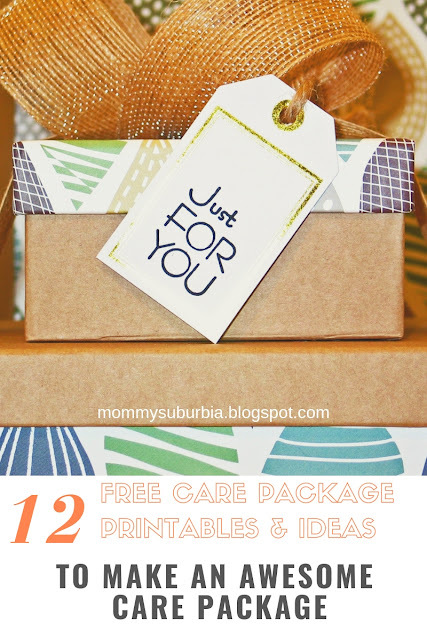 Hopefully this detailed list of what you can send in a care package combined with these great printables from Gifts.com helps inspire you to send an awesome care package to your loved one. Many of the items above could also be sent to a college student, deployed loved one or even a young couple. Here are samples of what each printable package looks like. Click on the link to go directly to the download from Gifts.com. 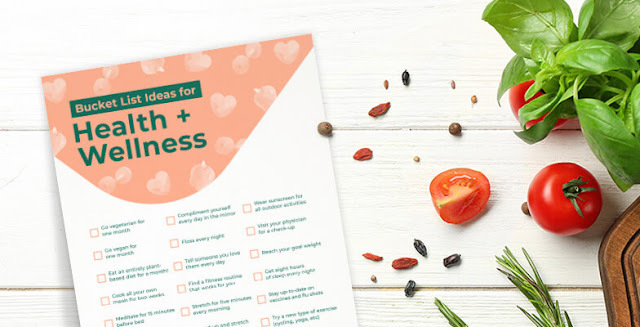 To help you navigate my blog easier I've put together a page dedicated to all of the FREE printables offered on my site. 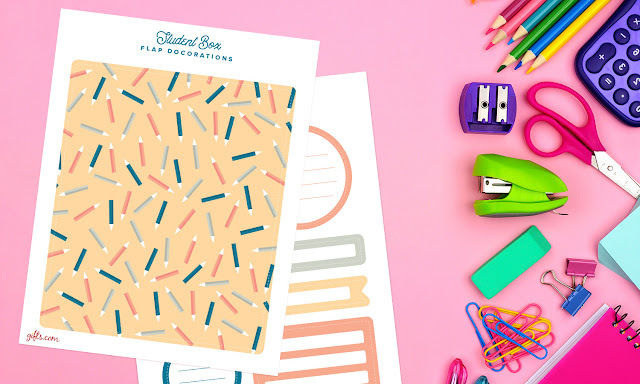 You can check all of them out on the FREE PRINTABLES page. 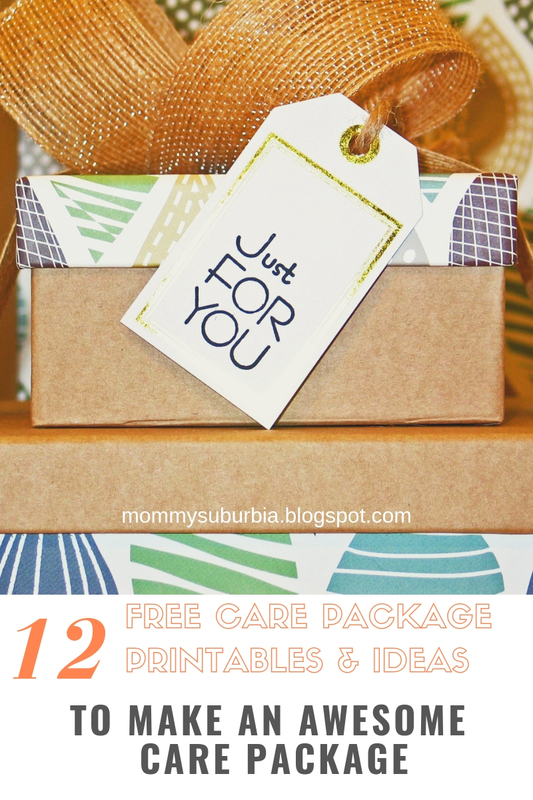 Thanks to Gifts.com for letting me share these great ideas with you and creating such cool printables! 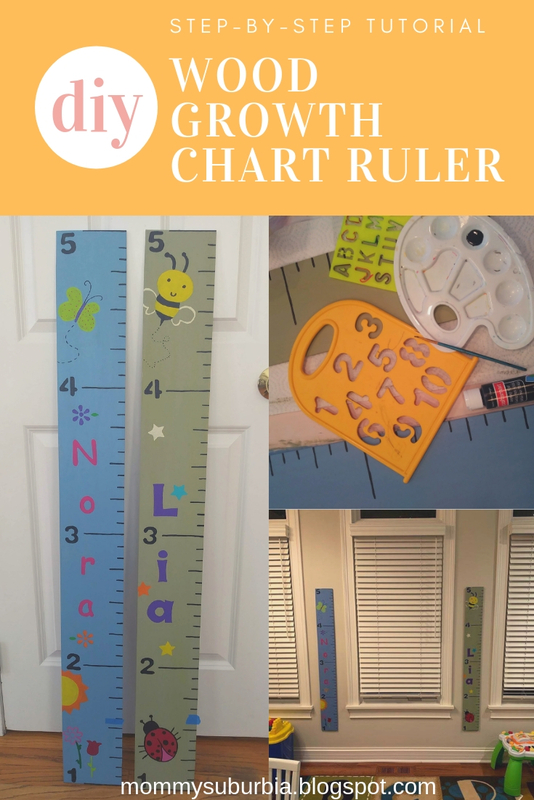 Track your child's growth with this easy and affordable DIY Growth Chart. Kids grow up so fast! Those milestone we parents track like their first tooth, rolling over, crawling and walking happen in the blink of an eye, or so it seems. As a mom I wanted to treasure these moments forever knowing that the next growth milestone is just around the corner! I just don't want to forget any of them! Keeping track of how much your child has grown from year to year is just another great way to treasure their childhood. We have been tracking all four of our kids annual growth with a cardboard growth chart we got from our pediatrician when our first child turned one. Every birthday I get out the chart and measure the birthday boy (or girl) making a mark in pen with their name and age on our growth chart. The kids love to see how they "measure up" to the height of their siblings when they were that age. So far my two boys are growing at about the same pace when I compare how tall they are at the same age. My second born however, is clearly the shortest and slowest grower compared to her siblings. I love our growth chart but since it is cardboard I worry about its durability. So far it has done a good job serving its purpose for our family but I recently was inspired to make a wooden growth chart for two of my little nieces. The youngest is turning one in a few weeks and I thought this would make a great birthday gift. I am also making one for her sister who is 3. I decided to make the growth charts from wood so they are durable as well as movable just in case someday my sister and her family move. This way they can take these special memories with them. This project is super simple and fun! 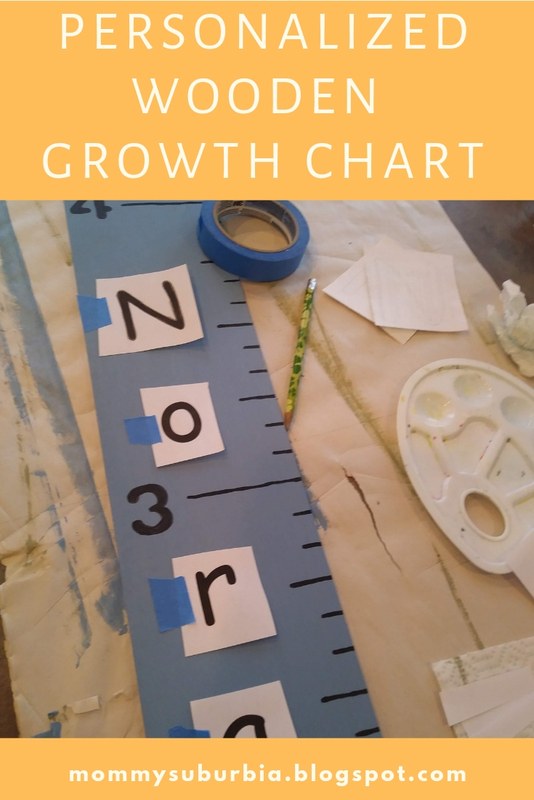 Let me tell you how I made my wood growth chart. This post contains affiliate links which means if you make a purchase through a link I may receive a small commission at no additional cost to you. For more information please see my Disclaimer page. Thank you! I really wanted a thin board for this project since it will be hanging on a wall in a child's room. The Home Depot has a ton of options for boards that vary in length, width and thickness. I ended up choosing a .25" x 5.5" x 48"poplar board. After you gather all of your supplies you are ready to being. First step is to cover your work surface with newspaper or a drop cloth so you don't get paint everywhere. 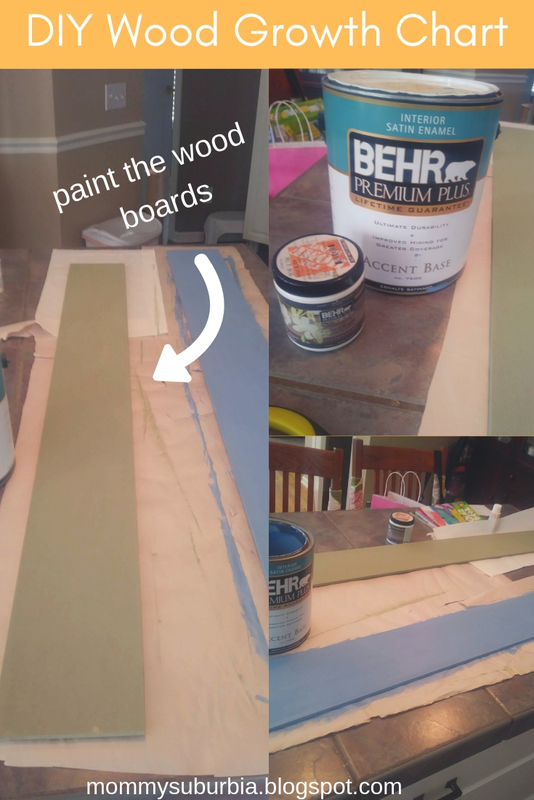 It is up to you whether or not you want to paint or stain your wood board but both methods look great. The board I got from The Home Depot was poplar which is a light colored wood that has beautiful wood grains visible throughout the entire board. Staining would have enhanced the natural wood grain and looked lovely however I decided to paint the board. Apply one coat of paint to each side and along the edges of the board allowing for the paint to dry before flipping it to the other side. TIP - When you apply paint to wood the wood soaks up the paint resulting in a rough surface. After the paint has completely dried use a fine grit Sandpaper and lightly sand the painted wood. I liked the way the painted wood had a bit of a rustic look to it after I sanded it so I did not apply a second coat of paint. If you don't like a rustic look you may have to apply a second coat of paint to all sides of the board. Again, after the second coat of paint dries you will have to lightly sand the board so that the surface is smooth and free from rough spots. Once the board is painted it is time to mark out the ruler measurements lightly in pencil. You will want to take into consideration that the wood growth chart will be hung on a wall that probably has baseboards. I chose to start my measurement markings at the height of 1 foot (12"). This means that when the growth chart is hung on the wall the bottom should be 12" from the floor. You can choose any starting point that you want for your growth chart. The reason why I chose 12 inches was so my growth chart measurements had the height of my nieces as newborns. Both happen to be 19 inches tall as newborns so I thought it would be cute to include that measurement as their first growth milestone on their growth chart. I placed my ruler along the edge of the wood board with the bottom of the ruler even with the bottom of the board. I then lightly marked one inch increments in pencil along the board until I had the entire length of the board marked and measured. Next I grabbed a 2 x 4 Lego block ( hey, don't judge it was just laying on the counter next to me and it worked great!) to use as a template for how long I wanted my finished inch markings to look. I used the short side of the Lego to mark the length of the lines at the 1", 2", 4", 5", 7", 8", 10", 11" measurements. For the 3", 6" and 9" I used the long side of the Lego piece so that these markings would stand out. Then at every foot (2 foot, 3 foot, 4 foot and 5 foot) I measured and marked a 3 1/2" line. You can get a better idea of how this looks from the pictures above. After I finished marking the inch and foot lines I used a fine tip paintbrush and painted over them with black acrylic paint. Go slow and steady so your lines stay straight and don't get wobbly! Let the paint lines completely dry before you do anymore work on the growth chart. Now that the measurement lines are dry it is time to add the numbers at the long 3 1/2" marks to show the "foot" measurements. I used a stencil and traced my numbers lightly in pencil first. If you don't have a stencil just print off a number in the font you like at the size that fits your project. 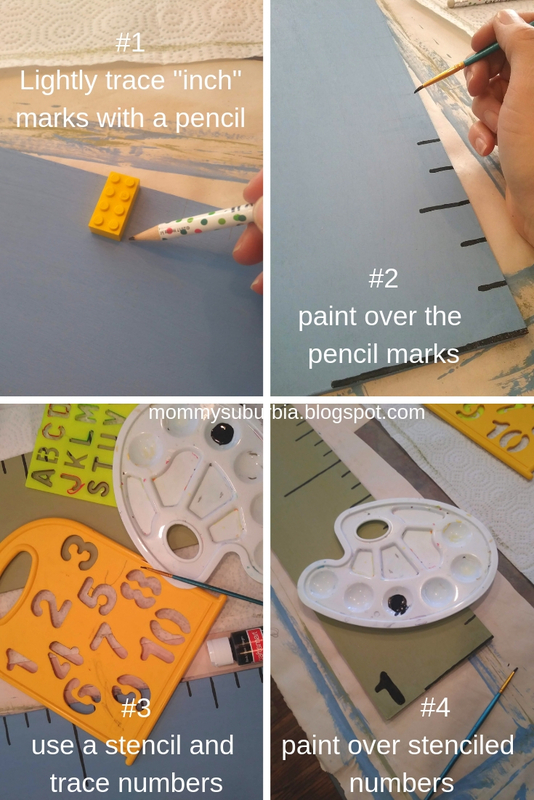 Lay the printed number on your growth chart in the spot you like next to the appropriate "foot" marking and then with a pencil trace around the printed number pressing hard on the pencil so that the pencil leaves a mark into the wood. Lift the paper up and lightly trace over the indentations. Once all of the "foot" measurements have been penciled in grab your fine tip paintbrush and whatever color acrylic paint you want to use and paint fill in the numbers where you stenciled in the markings. I chose to use black acrylic paint which is the same as I used for the line measurement markings. Let the paint dry completely. Because I was making these growth charts for my nieces I wanted to include their names on the growth charts so they know whose is whose. I followed the same steps I used for stenciling in the numbers but this time with letters to spell out their names. Once I was happy with the placement and had traced the letters onto the wood I used my fine tip paint brush and painted in their names. I chose a complimentary color in acrylic paint to paint their names and I really love how it turned out! I chose to decorate each of these growth charts with cute animals, flowers and simple shapes because it would match the theme my nieces' playroom is decorated with which I knew is where these cute little growth charts were going to be hung. The options for decorating your custom wood growth chart are endless! Let your imagination go wild. If you don't feel comfortable free handing the drawings you could always find a great stencil and trace it. Amazon has a big selection of these cute critters!! When I was Pinteresting to get some good ideas and inspiration for wood growth charts one of the steps I found missing in a lot of tutorials was how to hang your finished wood growth chart. I wanted to make sure you weren't left in the dark with this step so here is what I did! These little hangers are awesome! If you have never used them you have to give them a try! The portion that gets pounded into the wood is serrated so it won't pop out once it is hammered into the wood. That's it, you are all done! Just remember when hanging the growth chart to measure from the floor up to the required height to start. I hung these growth charts starting at 12" up from the floor. Don't they look so cute! I can't wait to see how quickly my nieces grow over the next few years. 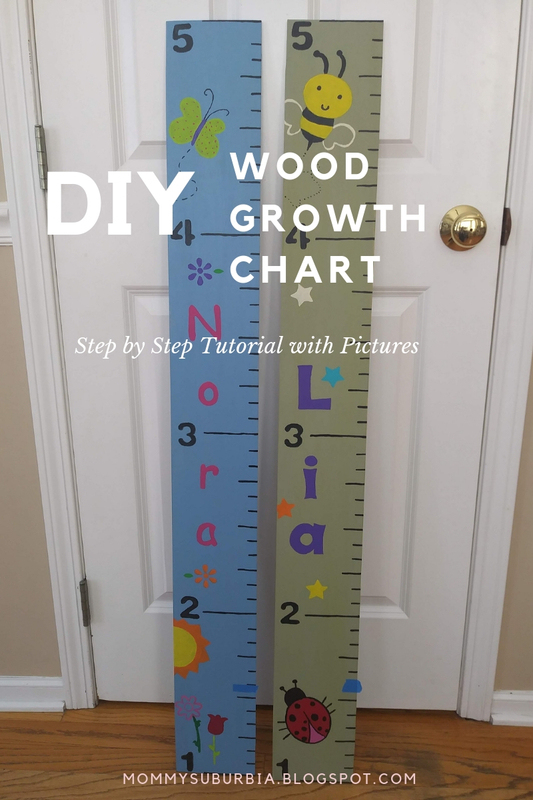 Don't forget to PIN this project for later so you can use this tutorial to make your own wood growth chart. Oh, and please share your ideas, finished projects and questions with me in the comment section. Thanks for reading, please come again! My children, from a very early age, have always loved being read to whether it be right away in the morning or just before tucking them into bed at night. Many of the books I've read to them have become an important part of their childhood memories that they will remember far into adulthood. Children's book pictures, whether they are colorful or just black and white drawings, breathe life into the characters. Life lessons are told through these stories, teaching children so many important things but at their level. 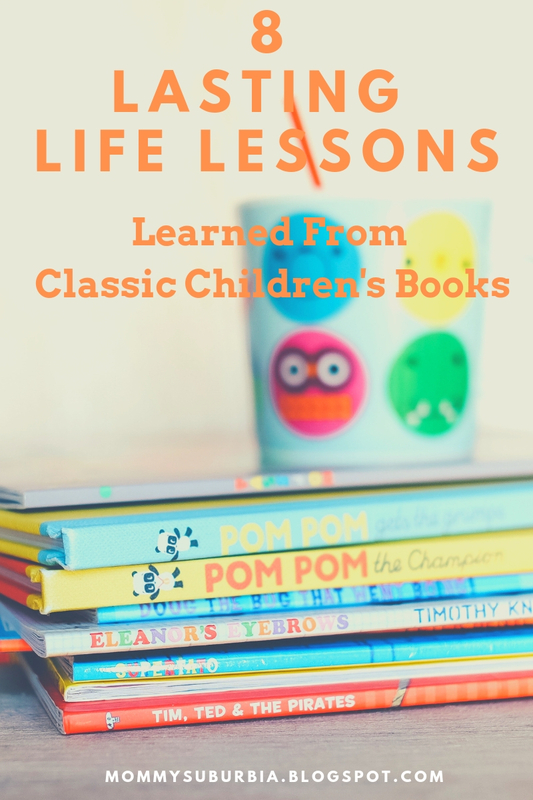 Below is a great graphic from Invaluable highlighting some of the life lessons taught to children through some of the most beloved children's books. So many times the author who wrote the story receives all the accolades but have you ever wondered who is behind the pictures and illustrations in a book? Who are these artists and illustrators and what inspired them to create these lovable characters? Here is a fabulous behind the scenes look from the Invaluable.com blog into eight children's book illustrators and artists who brought these lovable classic stories to life. Their stories are fun to read and I'm sure you will enjoy them as much as I did. 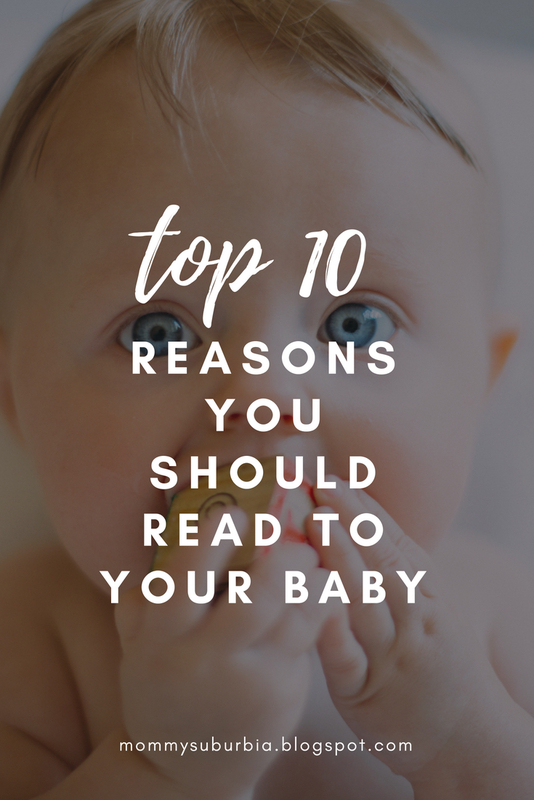 Next time your little one crawls onto your lap to snuggle up for a bedtime story take a little extra time to explore the illustrations and artwork and remember the great artist who created it.